Full results: Round 1, Game 1 (August 16). 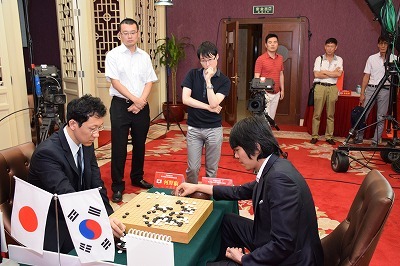 Lee Se-dol 9-dan (Korea) (B) beat Tao Xinran 5-dan (China) by resig. Round 1, Game 2 (August 16). 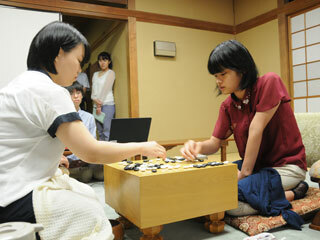 Kono (B) beat Li Qinchang 1-dan by 1.5 points. (Though just a 1-dan, the 15-year-old Li won the Chinese qualifying tournament telecast on CCTV.) Round 1, Game 3 (August 17). Pak Jung-hwan 9-dan (Korea) (B) beat Yuki Satoshi 9-dan (Japan) by resig. Semifinal 1 (August 17). Lee (B) beat Iyama Yuta by 2.5 points. Semifinal 2 (August 18) Kono (B) beat Pak by resig. Final (August 19). Lee (W) beat Kono by resig.